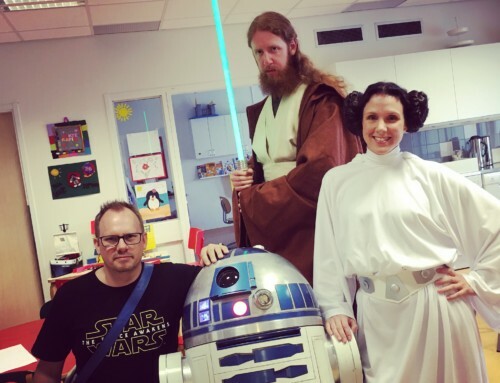 During thursday and wednesday right before easter, Me and R2 and a heap of friends from the 501st helped out in collecting money for the Child Cancer Fund in Sweden. R2 met a lot of friends, as usual, and once we were done for the day, we stomped off to O’Leary’s to go bowling with R2. 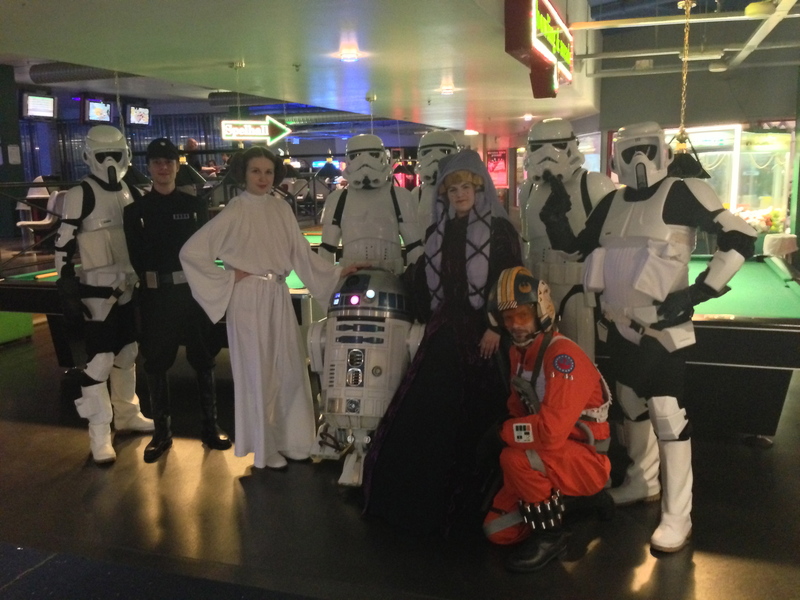 The crew at O’Leary’s was great, played Star Wars music while we bowled, and sponsored us with the bowling fee! Oh, that’s me on the far right, by the way.